Here is another post that is related to my project in collaboration with Poshlocket.com. 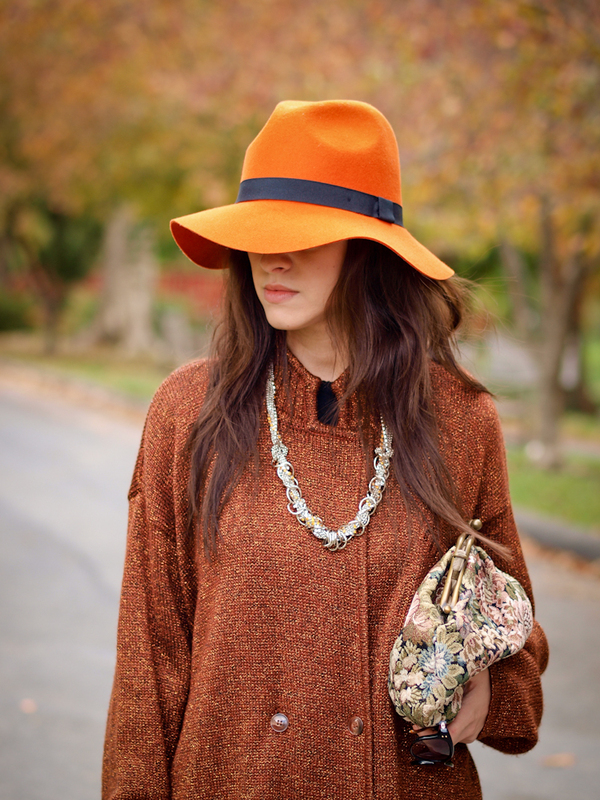 Today you will see this sparkly Renzo Chain Necklace, that I chose from their online shop, styled with a brown chunky cardigan, orange trousers, my new hat and a needlepoint vintage bag. I created a "Fall combination " once again, with bright and earthy pieces, against this metallic sparkle necklace. This look totally works for me ! 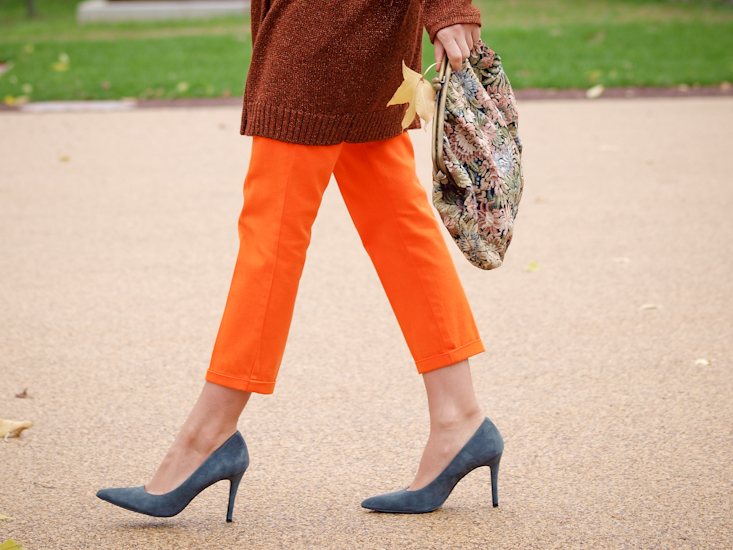 love this orange total look ;)! this is such a perfect fall outfit wow the colors are amazing this look is fantastic ! Such a gorgeous bag and cardigan! I’m so in love with this outfit, it’s perfect! omg, this look is amazing. I love the colors you have into play here. newest follwoer! Gorgeous!! Such beautiful pictures!! I love fall colors! Very nice! A perfect mix of all matched perfectly! i love the colors here, such a perfect fall palette!! Love that cardigan and that hat! The colors are so perfect for fall! Lovely look! love your hat! I love all of the orange here. Great color for fall. Those heels are amazing, too! Love this look and you have a wonderful blog! Okay, so those pants are a total win! Love the colour! Words cannot express how much i love this outfit! Autumn perfection my dear Veronica! a big kiss to your wonderful photographer!!!!! I without mind from that Look, in particular from his hat. Guapisima, me encanta la combinación. This oversized cardigan is the ultimate one for endless combinations! You are stunning my dearest Veronica! Hats are so your thing and you managed to accomplish another of your trademark cool and modern looks! Such an adorable look! Loving your hat and pumps!